Ambio Health helps you get healthier! 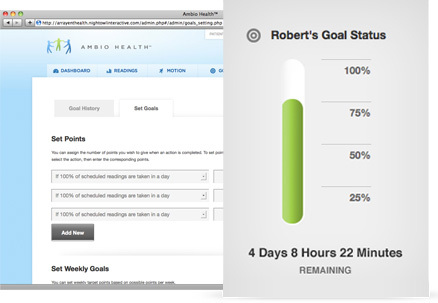 Ambio Health’s tools help you get and stay on the track of a healthy lifestyle. You can create a list of your medications with their dosage and frequency instructions. 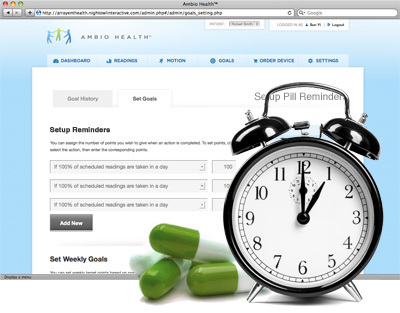 Pill reminders can be sent via email or text message. Research shows individuals are more likely to stay healthy when they have a support network. 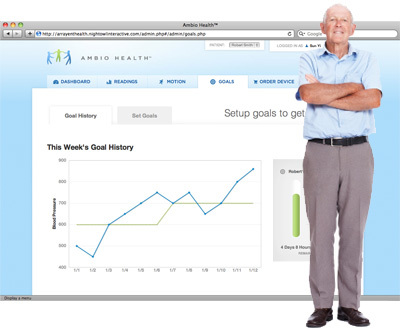 Ambio Health’s Care Circle option keeps them informed of your status and progress. 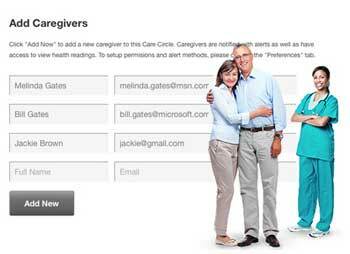 Care Circle members can review your status dashboard, get alerts/alarms, and coordinate their support using a shared calendar and message board. Ambio Health’s portal includes content from authoritative sources to help you understand what your readings mean and how to improve them. Ambio Health removes the drudgery of logging your daily health readings and provides the reward for you and your Care Circle of progress towards better managed health.